This review comes two days after its promised publication and there is a reason for that. I was about one-third of the way into The Twin when I put up the promise — I did not realize then that this is a book that absolutely demands that readers put it down and contemplate it for a while along the way before resuming reading. For me, it was worth the wait. I am not sure that every reader would feel the same. The singular “twin” of the title of this book is important. 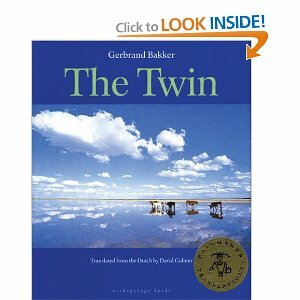 Helmer is the surviving twin; the other twin, Henk, died some decades ago. That event has left an indelible impact on Helmer, the survivor. The book is an exploration of what that separation has produced. It’s raining and a strong wind has blown the last leaves off the ash. November is no longer quiet with a fresh chill in the air. My parents’ bedroom is my room now. I’ve painted the walls and ceiling white and given the hardboard sheets a second coat of primer. I’ve moved the chairs, Mother’s dressing table and the bedside cabinets upstairs. I put one bedside cabinet next to Father’s bed and stowed the rest in the spare room next to his bedroom: Henk’s room. That quotation comes from early in the book and does an excellent job of framing the story. Helmer is an aging man whose father is dying and he is trying to cope with that. But even more he is being reminded that he needs to cope with his past. And the most critical part of that past is his twin, Henk. Helmer and Henk were like one until an evening in the pub when a meeting with Riet showed that they were two different people. Henk and Riet planned to be married (which meant isolation for Helmer) but a tragic driving accident led to Henk’s death — and Helmer has been living with it ever since. Henk and I were born in 1947; I’m a few minutes older. At first they thought we wouldn’t live to see the next day (24 May), but Mother never doubted us. ‘Women are made for twins,’ is what she supposedly said after putting us on the breast for the first time. I don’t believe it: statements like that always emerge from a mass of events and comments finally remain as a sole survivor. Plenty of other things must have been said at the time and this was most likely a variation on something Father or the doctor said. Mother probably didn’t say much at all. 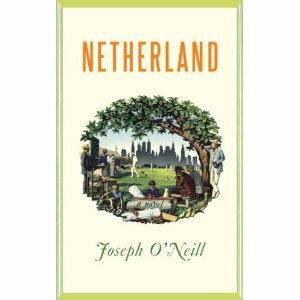 There are other elements at play in The Twin but I think that pretty much sums up the book: an aging, very lonely Dutch farmer (who really didn’t want to be a farmer, but his twin died) is contemplating how to face the last couple decades of his existence. For this reader, Bakker delivered on this slender premise in exceptional form. The story is told in the first person and there is not a lot of action: the book is a mix of looking back and describing current circumstances. The structure demands some stretches where the author has to be granted licence (and I won’t spoil the review by revealing them here) — I was willing to grant them, but I am certainly not going to quarrel with those who don’t. The Twin is an intensely introspective novel that will not be to everyone’s taste. And the shortness of this review is a reflection of that — this is an excellent book, but the more that I attempt to describe it, the worse I make it for future readers. If you read and liked Out Stealing Horses, a previous IMPAC winner, I suspect you will like this book. If you hated that novel (and some people certainly did), this is not one to waste your time on. I thought it was very successful and the fact that I delayed completing reading it by several days is even more important than anything that I could write about it. There are very few books that explore interpersonal relationships (especially male) as well as this one does. The Elegance of the Hedgehog is one of those intriguing publishing success stories that come along every year or two, riding a wave of word-of-mouth support onto bestseller lists. A check at amazon.com today shows it at #111 overall and #22 in literary fiction, impressive numbers for a book that has been out for more than 18 months. 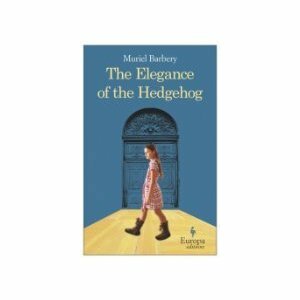 I’m willing to bet that a lot of book clubs are reading The Elegance of the Hedgehog this year — and part of me can understand why. Those kind of novels are not my normal fare, but I do venture into the territory occasionally (and not just in prize competitions). Actually, with Muriel Barbery it started out as an inadvertent detour — I picked up Gourmet Rhapsody (reviewed here) a few months ago since its premise (the death of a miserable food critic) interested me. I assumed it was Barbery’s second novel, but a helpful correction in comments from Claire set me right: second translated into English, but first in the writing. This book is novel number two for the author. For twenty-seven years I have been the concierge at number 7, rue de Grenelle, a fine hotel particulier with a courtyard and private gardens, divided into eight luxury apartments, all of which are inhabited, all of which are immense. I am a widow, I am short, ugly and plump, I have bunions on my feet and, if I am to credit certain early mornings of self-inflicted disgust, the breath of a mammoth. I did not go to college, I have always been poor, discreet, and insignificant. Because I am rarely friendly — though always polite — I am not liked, but am tolerated nonetheless: I correspond so very well to what social prejudice has collectively construed to be a typical French concierge that I am one of the multiple cogs that make the great universal illusion turn, the illusion according to which life has a meaning that can be easily deciphered. The narrative stream centred on Mme Michel is told in the first person and it does not take long to discover that she does not regard her concierge’s small loge as a prison cell, but rather a castle. She has chosen isolation as a form of protection and is quite happy to have only one friend, a Portugese cleaning lady in the same building who stops by each day for tea. While born a peasant, she is intelligent and has an aptitude for self-education — she is well read, knows her philosophers and her music. The wealthy residents of the building are more than willing to treat her as a grumpy, if polite, servant and that suits Renee’s purpose just fine. We are, basically, programmed to believe in something that doesn’t exist, because we are living creatures; we don’t want to suffer. So we spend all our energy persuading ourselves that there are things that are worthwhile and that that is why life has meaning. I may be very intelligent, but I don’t know how much longer I’m going to be able to struggle against this biological tendency. When I join the adults in the rat race, will I still be able to confront this feeling of absurdity? I don’t think so. That is why I’ve made up my mind: at the end of the school year, on the day I turn thirteen, June sixteenth, I will commit suicide. Before taking her leave, however, Paloma intends to complete two sets of documents: Profound Thoughts and Journal of the Movement of the World. Her story is also told in the first person in the form of these documents. As a reader you have to be willing to accept that this pre-teen is wise well beyond her years — I found it difficult at times, but was willing to give the author licence. In fact, that contrast of two individuals of significantly different ages who have chosen isolation as their place in the world is the strongest part of the book. Renee’s choice was made because of a traumatic family incident in childhood — while she never actually says it “no good comes from trying to rise above your station” would pretty much sum up her world view. Barbery is less clear with Paloma’s motivation: the trauma of approaching adulthood is probably the best explanation. Of course, for the novel to go anywhere these two characters are going to have to be engaged with the world. That comes with the arrival of Kakuro Ozu as a new resident in the building — he is a Japanese film director whose work Renee knows well. It isn’t a spoiler to say that the three eventually form a bond but I’ll leave those details out. For this reader, The Elegance of the Hedgehog is not without its problems. The choice of June 16 (that would be Bloomsday) as Paloma’s birth-death date provides one illustration. Renee’s cat is named Leo (after Tolstoy); Ozu’s are Levin and Kitty. Barbery spends most of her time in Japan now so there is a whole set of Japanese references that passed me right by. My issue is that the author uses these as a kind of literacy legitimacy checklist (“did you get the one about whomever” I am sure is a frequent book club observation) rather than to add depth to the story. They arrive with often clumsy frequency and start to very much get in the way of the better parts of the book. A more serious problem is that Barbery uses her parallel first-person narratives as an excuse to explore ideas about Art, Beauty and Meaning (she doesn’t always use capital letters, but often does). While that is a laudable objective, most of them do tend to read like the thoughts of a concierge or pre-teen, which is what probably made the capital letters necessary. Again, things to be talked about after you have read the book but, for me at least, not much food for thought. All of which leaves me reacting to this novel very much in the way that I did to Gourmet Rhapsody. Parts of it are quite good and that central theme of isolation is attractive. Barbery writes originally in French and is more than competent at creating those wonderful, cascading sentences that distinguish French fiction. Unfortunately, too often the book wanders into muddy diversions that add little and leave one waiting for them to end. I am somewhat surprised to see this book on the IMPAC shortlist, given their recent winners. The last four — Man Gone Down, DeNiro’s Game, Out Stealing Horses and The Master — all come from a much edgier part of the literary world than this novel. While I can certainly understand why many readers like this book very much (even if I am not as enthusiastic), I would be very surprised if the jury agrees with that assessment. Of course, I have been wrong before. For readers who pay attention to book prize competitions, The Slap is an interesting prospect. Christos Tsiolkas’ novel, first published in Australia in 2008, was shortlisted for the Miles Franklin Literary Award and won the 2009 Commonwealth Writers’ Prize. 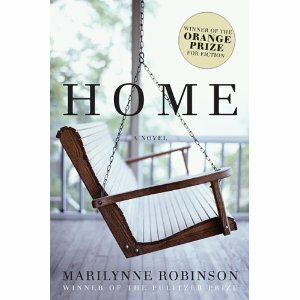 It is on this year’s IMPAC longlist. However, its UK publication did not occur until this spring, so it is one of those Commonwealth novels (like Yann Martel’s Life of Pi) that comes to its Man Booker Prize eligibility with some history. Enough of prizes, what about the book? In a lengthy opening chapter, Tsiolkas introduces a dizzying cast of varied characters at a Melbourne barbeque. (If you are serious about the book, you might want to read this opening chapter twice — I did and found that to be very useful.) The barbeque is hosted by Hector (who is Greek and his parents are there), married to Aisha (she’s Indian) and includes an array of characters who capture the Australian version of multi-cultural experience. Anouk is Jewish, Bilal and Shamira have converted to Islam. And that is only a start. “Let me go,” Hugo roared. Harry set him on the ground. The boy’s face had gone dark with fury. He raised his foot and kicked wildly into Harry’s shin. The speed was coursing through Hector’s blood, the hairs on his neck were upright. He saw his cousin’s raised arm, it spliced the air, and then he saw the open palm descend and strike the boy. The slap seemed to echo. It cracked the twilight. The little boy looked up at the man in shock. There was a long silence. It was as if he could not comprehend what had just occurred, how the man’s action and the pain he was beginning to feel coincided. The silence broke, the boy’s face crumpled, and this time there was no wail: when the tears began to fall, they fell silently. From this point on, The Slap moves into wide-screen novel territory. The challenge of building a 483-page novel on the basis of a slap delivered to a spoiled three-year-old at a barbeque, with no real injury resulting, is not one that many authors would choose to face. Tsiolkas makes that choice; the reader needs to follow him. 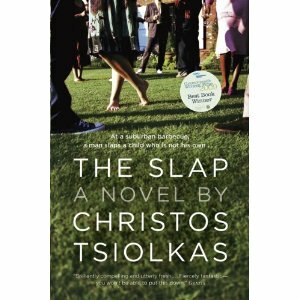 The remainder of the novel locates aspects of the fallout of the slap told from the point of view of seven different people who were there (Harry, Aisha, Anouk and others). Yes, they all have a point of view about the slap but the incident mainly serves to bring forward other aspects of their character and their lives, which is the way the author exploits his device. They are, for the most part, prosperous young adults living very well in a First World country, albeit a minor power. In North American terms, they are middle-class people facing both middle-class challenges and opportunities. The Slap produces a troubling diversion since Hugo’s hapless mother insists on criminal charges and his alcoholic father goes along — that means that many of these characters will have to emerge publicly with their opinion — but it is still a background irritant in most of their life stories. That passage illustrates my frustration with The Slap. On the one hand, Tsiolkas has put together an interesting cast of “ordinary” people, located them in an intriguing world, parts of which I know well, parts not, and opened up an exploration of their life. On the other, to make his story work he often approaches melodrama (and yes, for this reader, descends into it). The conceit of basing the plot on the slap wears thin half way through the book, but his characters do their best to overcome that — and succeed more often than not. But, in the final analysis, a novel of this length needs to be more and that is where it failed for me. The literary tactic of using individual characters in succession to develop the story carries a lot of risk and for this reader did not succeed. The author needs to locate his most interesting personal stories at the end of that list; instead Tsiolkas opts for a couple of individuals who are peripheral to the main story lines. They offer some interesting observations, but the whole thread of the book tends to get lost. Obviously, a couple of Prize juries have had a different assessment. And there is no doubt that The Slap is a very readable book; a worthy effort that I think could have been more. There is an intriguing subset in the roster of contemporary Canadian authors: born in India or Sri Lanka, they now call Canada home, but their fiction is a look back to the lands of their birth. Rohinton Mistry (A Fine Balance and others) is best known; Shyam Selvadurai (Funny Boy) also has his fans. Anosh Irani, born in Bombay but a resident of Vancouver since 1998, is a relatively new addition to the list. The Song of Kahunsha (2006) (which I have not read) was published in 13 languages and featured in a number of contests, including CBC’s popular Canada Reads. Dahanu Road is his latest book and he again returns to India for this story — it seemed like a reasonable place to start in experiencing this author. Like both the Mistry and Selvadurai novels that I have cited, Dahanu Road is an exploration of dislocation and class/racial tension. Given my recent reading, specifically Andrea Levy’s The Long Song (set in Jamaica), it is another timely reminder that dislocation and class tension are themes that are played out in many places in the world. Dahanu Road explores the story of three generations of Persians, a family who are now landowners in Dahanu, a farm and market town just outside Bombay. Grandfather Shapur, oppressed as a Zoroastrian in Persia, moved the family to India when his son, Aspi, was just a youngster. He prospered as a merchant who branched into liquor sales, which in turn led to seizing land from his debtor customers. The oppressed Irani family in its turn became an oppressor — in the present time of the novel, Shapur is on his last legs, his son Aspi is haunted by images of past repression of the Warlis who now work the family estate in slave-like conditions, and Aspi’s son Zairos is the young adult who will soon inherit the land (and all its tainted history and the conflict that has left as its product). As soon as Zairos was downstairs, Aspi Irani started singing. His songs were a strange concoction indeed, a blend of three languages, Hindi, English, and Gujarti. Zairos always compared his father’s songs to country liquor: Use anything you can find — orange peels, battery acid, even leather slippers. Then squeeze hard and let its juice make your head spin. This morning, Aspi Irani’s song included two main ingredients — tennis and his old Morris. The two rhymed, and as he sang, the cigarette fell out of his mouth. Then he stopped abruptly and said to Zairos, “I think your mother is having an affair.” He said this every day, whenever Mithoo went to the bazaar. Aspi Irani loved the idea of sabotage. He yearned for a situation to ruin, as long as there was no permanent damage. No matter where he went, be it marketplace or wedding hall, he was an imp straight from the underworld, full of guile and mischief. Of course, with his thick forearms and massive calves, he was too large to be an imp, but he had an imp’s demeanour, from the sleazy to the sublime. When he was in action, his eyebrows arched like a piece of Mughal architecture; it was the arch of knowing that came upon the countenance of only those who knew secrets, of men who found beauty in the orchestration of disaster. Those two quotes supply an indication of Anosh Irani’s prose style that any potential reader of this book should be prepared for: he has a fondness for simile, metaphor and symbolism that grows as the book progresses. While it is used primarily for illustration and narrative depth in the early parts of the book, the symbolism in particular becomes even more of a factor (for this reader, often an intrusive one) as the novel progresses. Of course, in a book concerning the impact of oppression, oppressive language could well be considered a useful device. While the novel is told from the point of view of those with power (unlike Levy’s book which is told from the other side), it does require a counterpoint for the author to establish and explore the tension part of the story. That comes in the form of a Warli family that parallels the three generations of Iranis. The first present day incident in the book is the sudden suicide of Ganpat, a tribal worker on the estate, whose body is discovered by Zairos. It is claimed by Ganpat’s daughter, Kusum; as the story proceeds, we discover that the three generations of both families have interacted with each other, usually in classic oppressor-oppressed form. It is hardly a surprise that the new generation will be experiencing it in a way that is much different from their grandfather or father. Dahanu is a backward, isolated agricultural community and the author does not interject any global aspect to his tale — the tensions of his protaganists are those of a tightly-contained community. That does not make them any less serious for the individuals involved; indeed, in many ways, that containment makes them even worse. While Zairos has to live with a situation he has inherited, he does not know what has produced it. His elders have not only not prepared him, they have consciously buried some of the black acts of their past, so the young landowner not only needs to figure out his present circumstances, he needs to discover his past. That rather slender story line, coupled with the author’s penchant for literary devices that sometimes verge on the florid, become the biggest challenge for the book. While I very much appreciated the way that the premise of the novel was established, I am afraid that it became heavy sledding as it wore on. I am sure that for some readers that will become a significant positive of the book; unfortunately I was not engaged enough to find it worthwhile and it became even more of a distraction as the ending of the book approached. Dahanu Road has back cover blurbs from Rawi Hage, Wayson Choy and Yann Martel — three more Canadian authors who have looked at the notion of dislocation, albeit in a different way than Irani (or Mistry or Selvadurai for that matter). Anosh Irani deserves to be compared to any of those five authors. This novel is not up to their best work, but it does have some strengths of its own. In a country like Canada where we are experiencing a new notion of diversity, paying attention to the work of authors like these six is important — they are major contributors to what Canada is today. — I am intrigued by fiction that is willing to enter the “business” world (Tom Wolfe and Joshua Ferris come to mind) and there are not a lot of literary novels that venture into that territory. — James Wood wrote a very perceptive and positive New Yorker review which was my first introduction to the book. The subtitle to the review (“Two novels about money without morals”) is recommendation enough. — When the physical copy arrived, it featured cover blurbs from Richard Ford, Elizabeth Strout, Tom Perrotta, Jay McInerney and Jonathan Franzen. The publisher is obviously swinging for the fences. 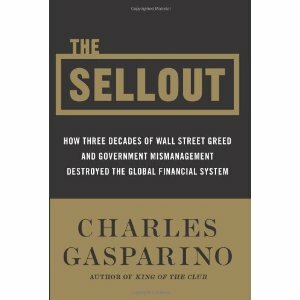 And, perhaps, that range of endorsements might be the first “pink” flag that says the book is not all that it might be. 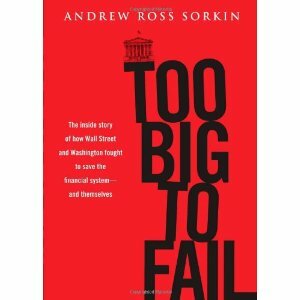 — Mrs. KfC reads almost all the non-fiction books about the current financial collapse (Too Big to Fail, The Quants and The Sellout are just a start — if you are interested, please lobby in comments for a guest post. I will do my best to convince her.). She both summarizes and evaluates them for me so I was hoping that I could come up with a return favor from the fiction side of things. A wedding! The first of a generation; the bride and groom are just 22, young to be married these days. Most of their friends flew in yesterday, and though they are in Pittsburgh, a city of half a million, they affect a good-natured snobbish disorientation, because they come from New York and Chicago but also because it suits their sense of the whole event, the magical disquieting novelty of it, to imagine that they are now in the middle of nowhere. They have all, of course, as children or teenagers, sat through the wedding of some uncle or cousin or in quite a few cases their own mother or father, so they know in that sense what to expect. But this is their first time as actual friends and contemporaries of the betrothed; and the strange, anarchic exuberance they feel is tied to a fear that they are being pulled by surrogrates into a world of responsible adulthood, a world whose exit will disappear behind them and for which they feel profoundly unready. That is an entrancing opening. If you weren’t the first couple in your demographic group to be married, you were still at some version of this wedding and Dee captures the life-expanding questions that simply being there brought to mind (“Oh my God, we are starting to move on — what next?”). The “first” wedding is one of those gates of growing up and the 32 pages that he spends on it are a set piece of exceptional brilliance (and yes, I don’t often get that excited). Of course, it turns into an unmitigated drunk but wasn’t that the case for most of our first wedding experiences — of our generation, not our relatives or remarrying parents? Cynthia gets pregnant on the honeymoon and that will add another dimension to the evolution/isolation of Adam and Cynthia. Having married early, they have moved on from their single friends; having a child early, means they are a decade or more younger than their fellow parents. At the tender age of 22, they have ensured their isolation forever. The money, pre-bonus at least, was actually a little less than he’d been making at Morgan, but it wasn’t about that. It was about potential upside, and also about his vision of what a man’s work should be: a tight group of friends pushing themselves to make one another rich. No hierarchies or job descriptions; there was the boss and then there was everyone else, and the boss, Barry Sanford, loved Adam from day one. Sanford was a white-haired libertine who was on his fourth wife and had named the company after his boat. In the rare moments when he stepped back and thought about it at all, it was vital to Adam’s conception of his professional life that he wasn’t stealing from anybody. 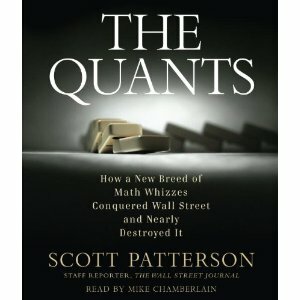 There was nothing zero-sum about the world of capital investment: you created wealth where there was no wealth before, and if you did it well enough there was no end to it. What Adam did was just an initiative based on that idea, an unusually bold manifestation of it. Why should he be restricted — or, worse, restrict himself — from finding a way to act on what he was enterprising enough to know and to synthesize? Adam actually extends this perverted logic — in his view, his insider trading scheme becomes a self-administered bonus plan. He only makes about $500,000 a year off it (much less than his legitimate income) so it is hardly a big deal, but it does open some new opportunities. Cynthia, meanwhile, is growing into her role as a New York uber-wife. She may be decades younger than the Botoxed matrons around her, but that doesn’t mean that she can’t exercise her considerable influence, particularly after the couple sets up their charitable foundation. 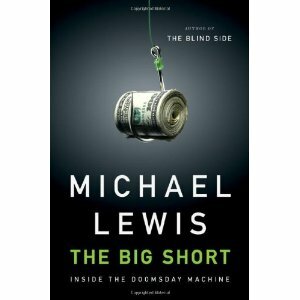 Once Adam moves on from private equity Perini to the hedge fund and derivatives business, things become even more interesting, and lucrative of course — bigger money means bigger chances for abuse (Dee is only too accurately reflecting reality on that point). And, unfortunately, this is where The Privileges starts to fall apart, at least for this reader. Dee does such a good job of setting up his story — the couple who have nothing but privilege and who enjoy exercising it — that it is obvious they will face some kind of judgment. Not only do Adam and Cynthia need to pay a price for this life of success, so do their children. It is not a spoiler to say that that is where Dee takes the book, but I won’t say how. I will observe, however, that in making the choices he does at that point it is almost as though the author became frightened of how good his book is. Big ideas (and he certainly does a good job of introducing them) deserve big, explosive failures — Dee opts instead for much more introverted outcomes, that just are not up to the rest of his book. That is only my impression, so if you are inclined to pick up The Privileges please ignore my grumpy opinion of the conclusion. 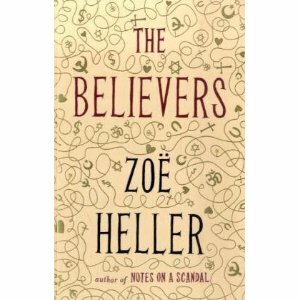 Most of the novel does deliver on the promise of the blurbs and it rightly deserves to be included in the relatively small group of novels that turn literary attention to the corporate world. I am hoping that in a few weeks, my opinion of its ending will become more friendly — at this point, however, I do wish Dee’s editor had sent him back for a rewrite of the last 80 pages. Don’t in any way let that stop you from buying and reading the book. The parts that do work are more than enough to offset those that don’t.